Shopping with an online pharmacy offers multiple benefits. They offer a 24-hour service that is, for the most part, cheaper, simpler and more discreet than going direct to a pharmacy or doctor. It’s not hard to see why they have risen so rapidly in prominence over the past decade. Unfortunately, as with every silver lining, there tends to be a cloud. The popularity of online pharmacies has brought with it the inevitable influx of scammers, attempting to sell fake (and dangerous) medicines to customers who don’t know any better. Drugs prescribed for problems like erectile dysfunction and weight loss are some of the most commonly counterfeited, sold cheaply to people who might feel embarrassed to go directly to the doctor or pharmacist. These people think they are getting a great deal when in reality they are not getting the genuine product at all. It should go without saying that this can have very harmful repercussions. Perhaps as a result of the public’s growing tendency to attempt self-diagnosis, when buying meds online people increasingly turn to the Internet as a guide to both health issues and medicines. But as we all know, not everything we read on the Internet should be taken as gospel. In fact, it’s crucial that we have a healthy degree of scepticism. Just as not all health forums are factual and regulated, the same principle applies to drug vendors. When it comes to matters of health, it pays to know the real deal from the fraudsters. So how do you spot the genuine article? Here’s a good rule of thumb: if it seems too good to be true, it probably is. If you receive an email out of the blue advertising cheap medicine, ‘miracle’ pills or some other grandiose claim, know that it is almost guaranteed to be fake. 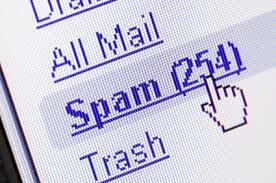 According to the Internet security firm McAfee, around 70% of all email spam is for counterfeit medication. At best, these products will do nothing. At worst, they could cause serious harm. Regulatory bodies exist to ensure that online pharmacies are operating within strict and legal bounds. For example, here at The Independent Pharmacy, we are strictly regulated by a number of UK health organisations, including the MHRA, GPhC and CQC. These institutions are independent and unbiased, providing regulation, monitoring and inspection to ensure that all of their listed suppliers meet (and continue to meet) the high standards required of healthcare professionals in the UK. We are committed to meet all regulation that is required for online pharmacies in the UK, as outlined by our CSR policy. The Medicines and Healthcare products Regulatory Agency is an executive agency responsible for regulating all medicines, devices and blood components for transfusion in the UK. Sponsored by the Department of Health, it is recognised as a global authority in its field. They ensure that we have the necessary legal and regulatory permissions to run a pharmacy website. 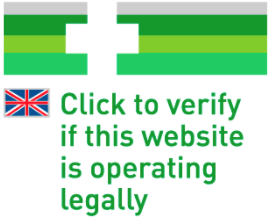 They issue a verification badge (like the one below) to all certified online pharmacies – it is a legal requirement for this to be displayed on every web page that sells medicine. If you don’t see a badge like this, avoid the website! The General Pharmaceutical Council is an independent regulator of pharmacists, pharmacy technicians and premises throughout the UK. Its mission is to uphold high standards and public trust in pharmacies, and the professionals that work in them, with a comprehensive register of approved vendors. We are inspected by the GPhC on a regular basis to make sure we meet their comprehensive list of regulations required to run a safe and effective pharmacy in the UK. They also provide a Registered Pharmacy badge (see below) to be displayed on the website of all pharmacies that meet their standards to operate in the UK. The Care Quality Commission independently monitors, inspects and regulates health and social care services, and includes ratings in all its evaluations. Its role reaches further than just pharmacies – extending to hospitals, dentists and clinics – but they are included in its remit. We are inspected by the CQC to ensure that our Online Doctor service meets the high safety standards enforced in the UK to provide prescription medicines online. The public puts a lot of faith in the opinions expressed by other people, whether good or bad. Reviews are generally trusted because as a consumer you know that person doesn’t have a vested interest in promoting the company – what you read is what you get. An online chemist’s reviews can tell you an awful lot about the experience of shopping with them, as well as the quality of care. At The Independent Pharmacy, we’re proud to have thousands of glowing testimonials. We strive to provide an expert service that is quick, simple and honest – and this is reflected in what our customers repeatedly say about us. If you are ever questioning of a pharmaceutical website’s credentials, reading the customer reviews section is a great place to start. If there are no reviews to be seen, think twice before you buy. A real online chemist that offers a genuine service has no reason to hide customer feedback. If you’re unsure about whether a website is legitimate, a good starting point is to check it out on the General Pharmaceutical Council register, which lists all of the pharmacies (both offline and online) that it has accredited. Search by registration number, trading name or postcode. If you are unable to find this information easily through the website in question, there is likely some suspicious activity going on. The General Pharmaceutical Council also deals with customer concerns relating to pharmaceutical misdealings – see their raising concerns section if you need to report anything potentially dubious. You can also check the World Health Organization website for a full list of legitimate medical authorities worldwide. Provide medicines from reputable manufacturers that have a clear batch number and expiry date. You can double check how to spot a legitimate online pharmacy by using our guide to buying medicine safely online. Our priority is to ensure that our customers are happy and informed about the services they’re getting. If you have a question relating to any of the information above, you can call us on 0333 2200 519 or get in touch with us by email. You can also speak to one of our pharmacy team by live chat directly on the website. We look forward to hearing from you.